Yoshi Power!. A really cute and colourful yoshi background!. 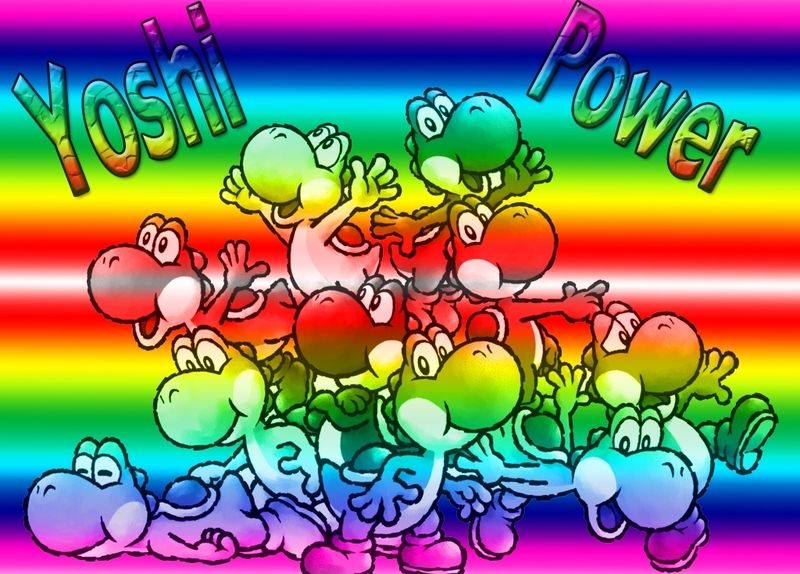 HD Wallpaper and background images in the Yoshi club tagged: yoshis yoshi rainbow yoshi power nintendo character. A really cute and colourful yoshi background!